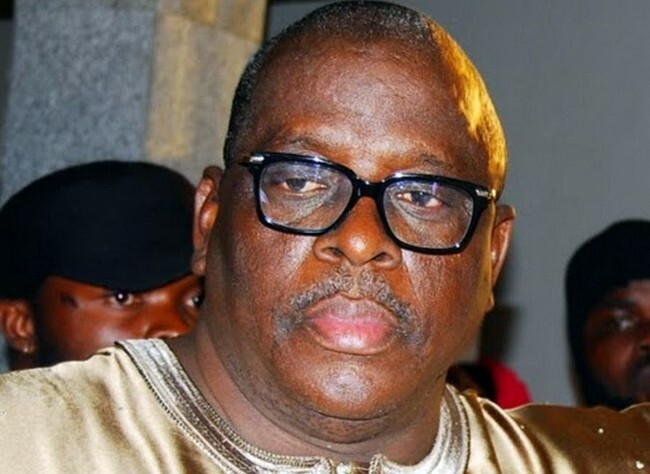 A Federal High Court in Lagos on Tuesday adjourned hearing in a suit by Sen. Buruji Kashamu, seeking to stop his extradition to the U.S. to face drug charges until March 8. The Inspector-General of Police, Commissioner of Police, Lagos Command, Director General, Department of Security Service (DSS), National Drug law Enforcement Agency (NDLEA) and the Attorney General of the Federation (AGF). He is urging the court to restrain the respondents and their agents from arresting or detaining him, in any manner whatsoever, or interfering with his right to personal liberty and freedom of movement. When the case was called on Tuesday, counsel representing parties informed the court of their readiness to proceed with the hearing, as the notices had been duly served as ordered by the court. However, it was discovered that a hearing notice was not served on the AGF, a situation the court described as an error. Consequently, Justice Chukwujekwu Aneke ordered that hearing notices be issued and served on the AGF before the next adjourned date. He fixed March 8, for hearing on the applicant’s suit, as well as NDLEA’s preliminary objection in opposition to same. In a supporting affidavit, the applicant averred that in a newspaper publication, the AGF was reported to have said that the U.S. Government had been told to make fresh request for his extradition, after the former proceedings were dismissed. He averred however, that in a proceeding instituted in England by the U.S. authorities between 2002 and 2003, it was established that he was not the one implicated in the alleged narcotic offence committed in America in 1994. He said that consequently, he was not the person being sought after by the U.S. authorities. Meanwhile in a preliminary objection, deposed to by one Kareem Olayinka, the NDLEA averred that authorities of the U.S. were currently seeking to extradite the applicant to their country to answer charges relating to Heroin trafficking. Olayinka said that the U.S. Government then made a request to the Nigerian Government for the applicant to be extradited sometime in May 2015. The Agency said that since Kashamu got wind of the extradition request, he had filed multiple law suits relating to the issue. He said that in all these actions, the central and basic relief sought was a restraining order against the NDLEA, from arresting and extraditing him to the U.S. According to the NDLEA, this suit does not disclose any cause of action against the respondent. The agency said the multiple law suits by the applicant against the NDLEA were intended to divert its energy and attention from discharging its mandate. He said that the NDLEA needed the protection of the court to stop this trend, as the applicant was only engaged in shopping for a forum that would grant his desired reliefs. Olayinka said the NDLEA was therefore, asking the court to dismiss the suit.